1. Add some excitement and sparkle back into your lessons. If your routine has become predictable and monotonous, then perhaps it's time to change up the lesson plans just a bit. Complicated lesson plans and activities are not necessary for a little excitement in your lesson. Adding sparkle could be as simple as incorporating an exciting video segment into a lesson, using a fun PowerPoint lesson, or adding some seasonal art or activities into the day. Students can get excited about the simplest activities, and that excitement can certainly be contagious and exciting for us as well. I have several grammar PowerPoint lessons in my store that are sure to add some sparkle to your lessons. These are a super easy way to incorporate sparkle in your lessons. Combining art and grammar is a great way to add sparkle to a lesson, too. My students love my Seasonal Parts of Speech Quilts. 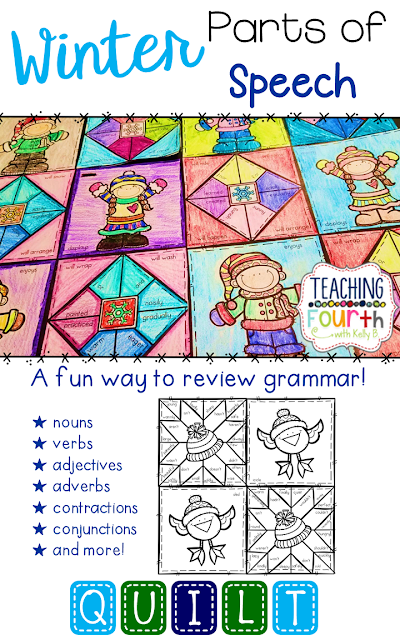 These are a fun way to review grammar, provide some fun coloring, and decorate your walls all at the same time! My winter set is perfect for this time of the year! 2. Do something for yourself that is not related to school. Take a class (art, music, dance, etc.). Try something new and fun, or simply do something relaxing. Get a pedicure, a manicure, or find time to get the hair cut you've been putting off for months. (Am I the only one that can't seem to find time???) Starting a new hobby or craft can certainly be relaxing as well. I personally love crocheting. It is such a relaxing activity, and it can take my mind away from the stresses of work so that I can feel rejuvenated the next day! The point is to do something completely unrelated to school! 3. Volunteer. Volunteer at a local charity or church. Doing something for others can help lift one's spirits tremendously. 4. Change things up in your classroom, and spend some time reconnecting with your class. One way to reconnect is with some of the get-to-know you activities that are usually considered beginning of the year activities. Sometimes at the middle of the year, our classroom management system might need some minor adjustments. Our students can become complacent to the system that we have in place, so perhaps it is time to change things up just a bit. If you have not started brag tags, this could be a great time to begin. Brag tags do not have to start at the beginning of the school year. 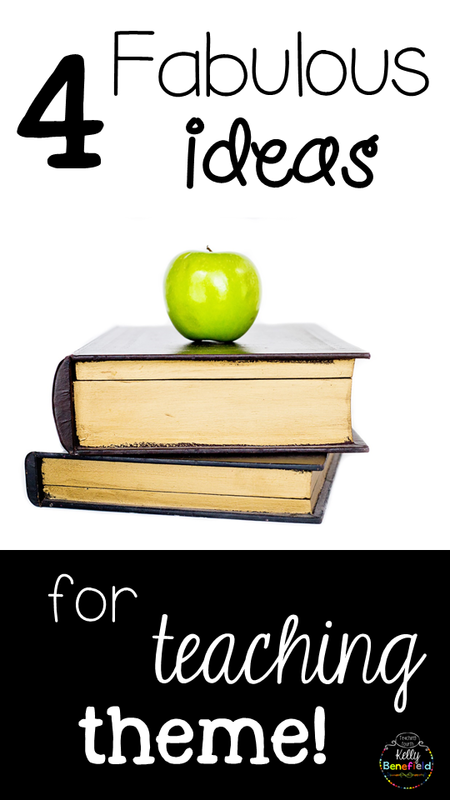 Now would be a great time to begin, and your students are sure to love them! 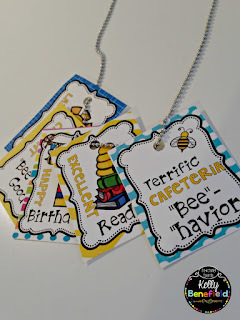 I offer a set of bee themed brag tags in my store that might be perfect to help your students "bee" their best! This is also a great time to motivate your students and encourage them to do their best the last half of the year. One great way to do this is to use motivational posters. 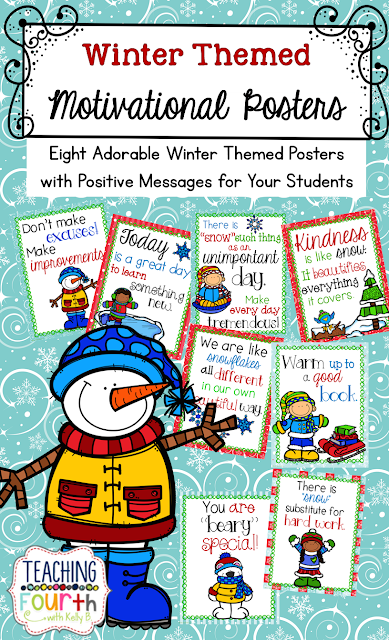 I have several varieties of motivational posters in my store, but these Winter Themed Motivational Posters would be a great addition to any classroom and are an easy way to redecorate your classroom for the winter months. Classroom management is noted as one of the major causes of burnout. Creating a positive classroom environment will certainly go a long way in helping prevent teacher burnout. For another fun motivational idea, use these letters to post in the room every time students are caught being good. 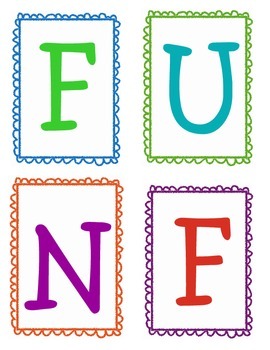 The fun part comes when the class spells out Fun Friday. We usually celebrate with something fun. It can be something as simple as a game afternoon with partner games like tic tac toe or the connect the dots game, class games such as heads up seven up, puzzles or board games, a short video, popcorn, free time, etc. You can find these free in my store! Just click the image below. There are many ways to prevent teaching burnout. Although teaching is a stressful job, it is one of the most rewarding careers. Always keep at heart the lives that you are touching each and everyday. You are truly important, and if no one has told you lately, thank you for all that you do! You are truly special! I love the Christmas season, and so do the students in my classroom. After our Thanksgiving break, we have three weeks until Christmas break. While we strive to continue to make the most of each instructional day, students still enjoy fun Christmas activities. I try to sneak in some fun activities to make these weeks enjoyable for the students.These are a few ways that I incorporate Christmas into my classroom. 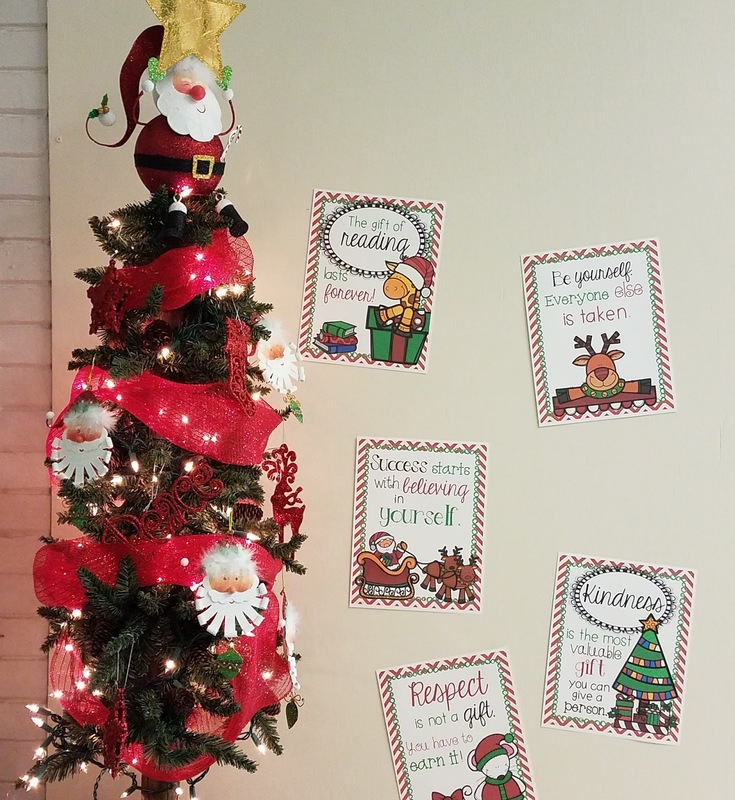 My students were so excited to see the decorated Christmas tree on the first day back from Thanksgiving. 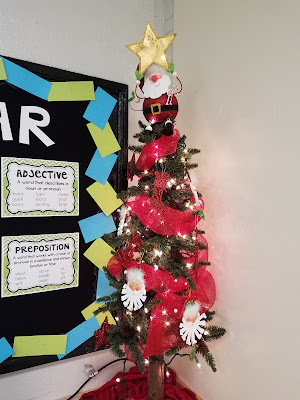 A Christmas tree does not have to be very large or elaborately decorated, but my students love seeing a Christmas tree in their classroom. In fact, I used a tree from home that I decided to retire this year from my house decorations. The ornaments were from a theme that I had used in my home as well and decided not to use this year. I have a good teacher friend who has a large classroom closet. She stores her small tree completely decorated, and all she has to do is pull it out each year and set it on a table. How smart is that? Unfortunately art in the classroom often takes a backseat to all of the demands of the required curriculum. Having a daughter who is an artist at heart, I understand the need for art in schools. We, unfortunately, do not have an art teacher at our school, so I do try to include at least a few fun art activities throughout the school year, especially during holidays. Jenny, from Art with Jenny, has some wonderful and fun activities that are perfect for the Christmas season. 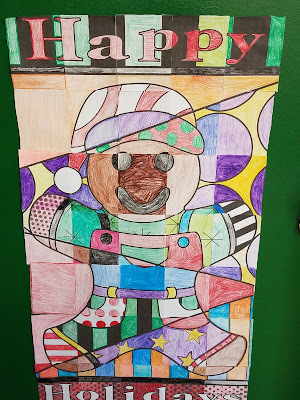 This year, I chose this simple, but adorable Gingerbread Man Collaboration Door Poster, and I wish you could have heard the oohs and ahs from my students when I revealed the final product. They thought this was the best activity ever, and they were so proud! 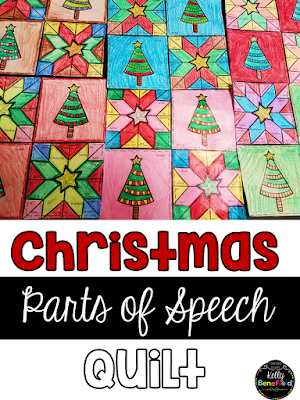 I also enjoy an art activity into my reading and language lessons whenever possible, and this Christmas Parts of Speech Quilt packet is a great way to do this! 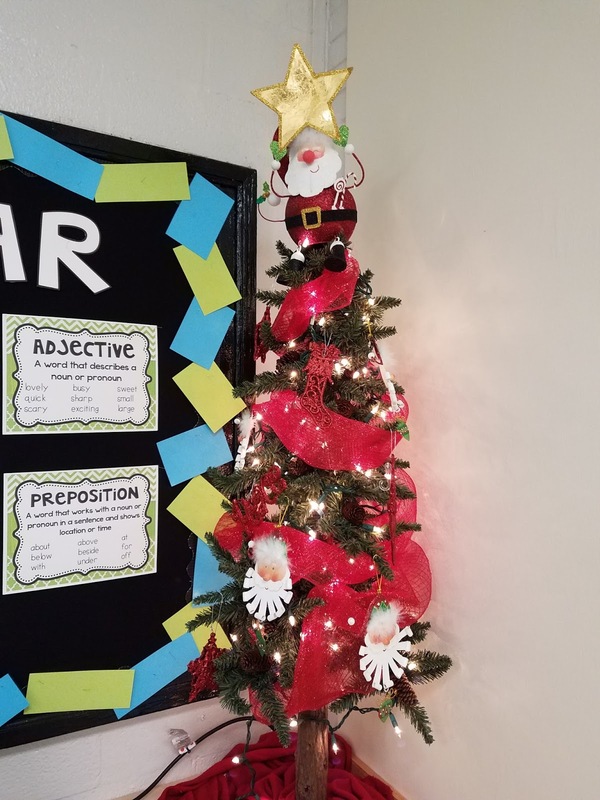 My students love doing these, and they are a fun way to review parts of speech and a great decoration for the holiday season as well. 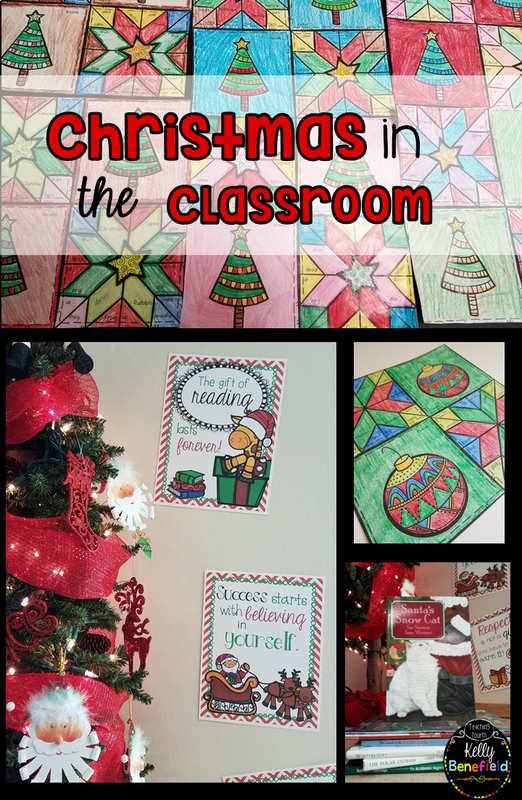 I love decorating my classroom for Christmas, but finding the time and energy is sometimes a little challenging. These Christmas themed motivational posters are the perfect solution. All I had to do was print them out and hang them up. I thought they looked perfect around the Christmas tree. They are a simple way to decorate the room. One of my favorite ways to incorporate Christmas into the classroom is with the huge variety of picture books available. Even upper elementary students love reading picture books about Christmas. 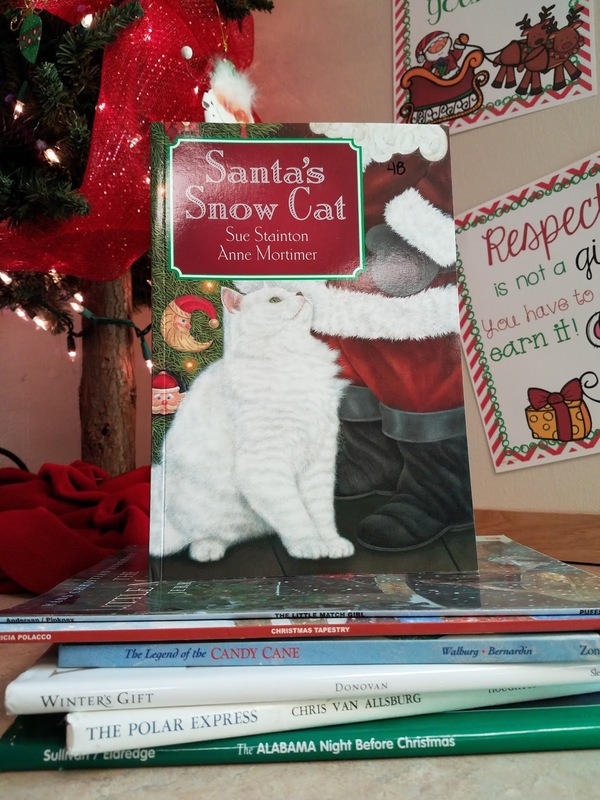 We partner read Christmas picture books, I use them for model lessons and strategies lessons, and we read them for the pure enjoyment. There are so many wonderful choices for Christmas books. My next blog post will feature several of my favorites. 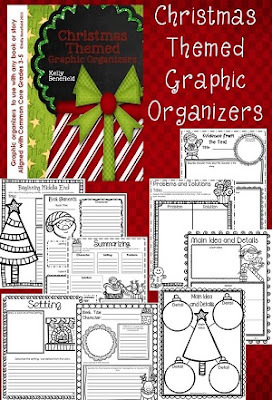 Christmas themed graphic organizers are not only perfect to use with Christmas books, but they are great to use with any book during the Christmas season. 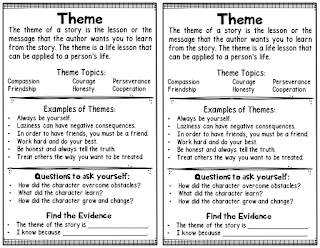 Students love using these, and they are a great way to sneak in a little fun while the students are thinking about and writing about their reading. This set is available in my store. Four Fabulous Thanksgiving books that your upper elementary students will enjoy are also perfect for last minute lesson planning. (I mean, am I the only one who does last minute? Please tell me I'm not!) 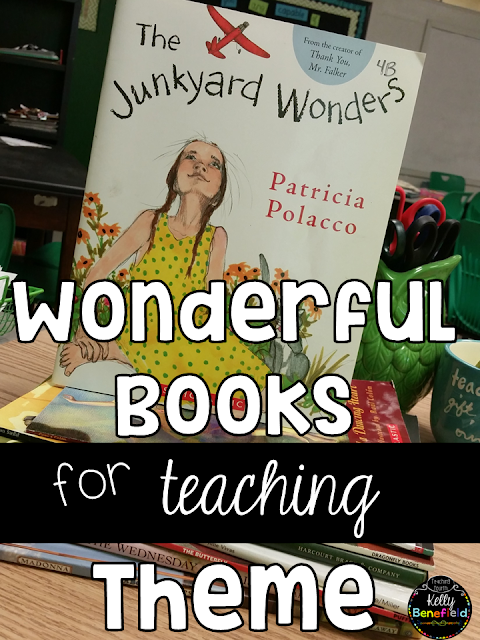 These books are perfect for read-alouds, partner reading, or small groups. 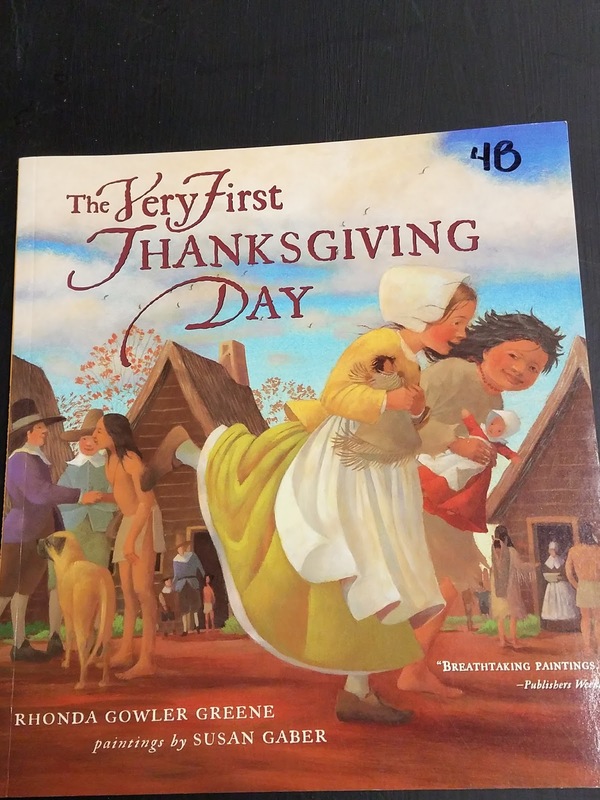 Although this is a very simply written book, The Very First Thanksgiving is an excellent book for upper elementary to introduce a lesson or a discussion on the first Thanksgiving. Students enjoy the rhyme and rhythm as well as the beautiful illustrations. I personally love sharing the author's note and illustrator's note at the beginning of the book with my students. This is a great choice for a read-aloud. This is simply a fun book that even upper elementary students love! The story is enjoyable, the rhyme and rhythm are musical, and the illustrations are adorable in this entertaining picture book. This story always brings a smile to my students' faces and is a perfect read-aloud for those days before Thanksgiving. 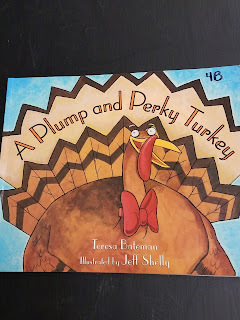 It is also a great book to use as a before activity to introduce a fun Thanksgiving art activity or a writing activity. This is a great example of historical fiction. This is a sweet fictional story of a little girl who inspired the Macy's Parade. 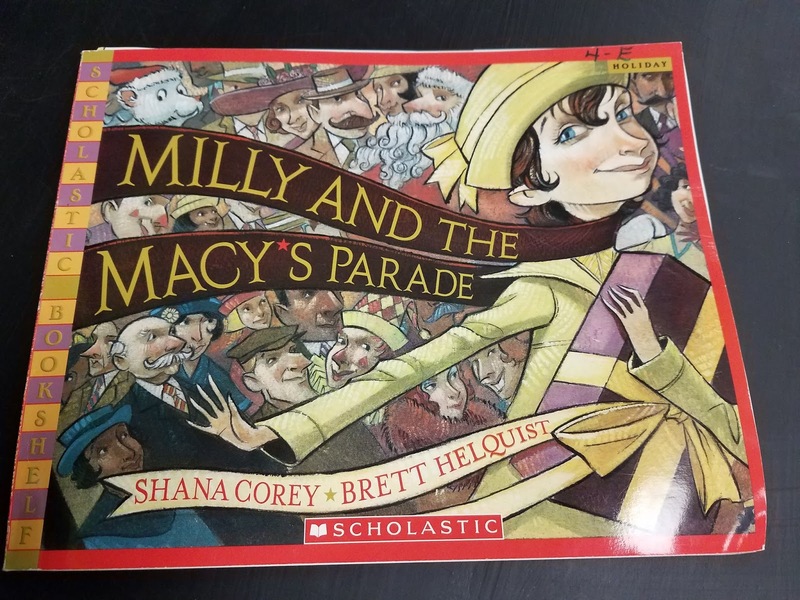 Milly and her story are completely made-up, nevertheless, it is still a sweet read-aloud for your students. Also, Scholastic has some wonderful freebies to use with this book. This is probably my favorite Thanksgiving book to use in my classroom. Although the reading level is only 3rd grade, the message of this story makes it a wonderful choice to use with your upper elementary students. So many topics can be discussed, taught, and reviewed with this book: point of view, author's point of view, compare and contrast, character analysis, and inference. Even more important is the message that is prevalent in this story. 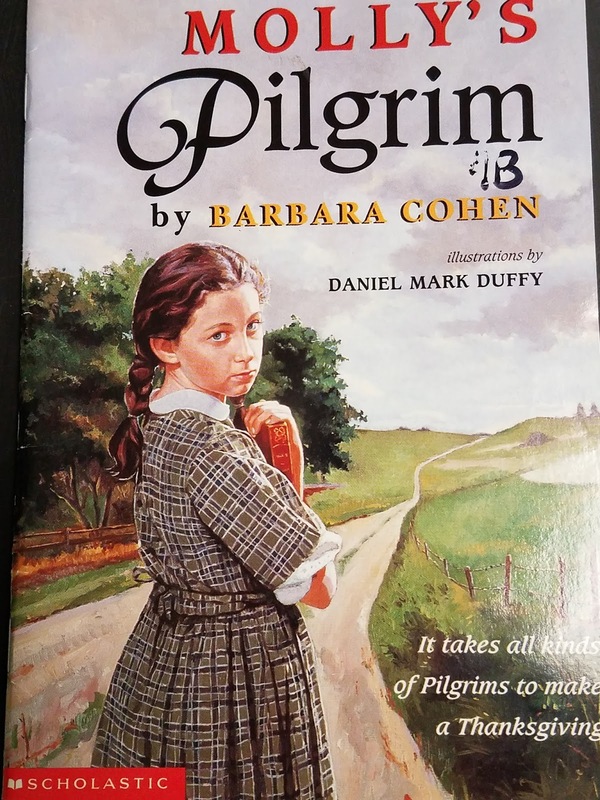 Students will easily recognize the theme, "It takes all kinds of Pilgrims to make a Thanksgiving." 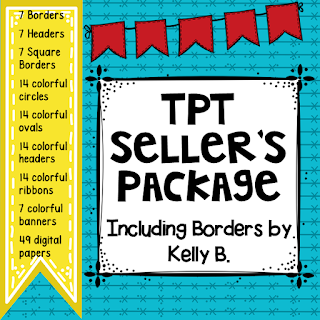 I have uploaded two free graphic organizers to my store just for you! 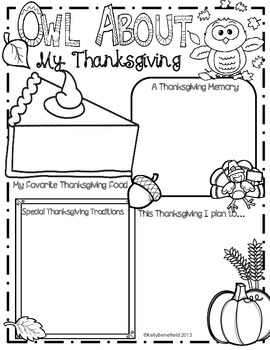 These easy print and go graphic organizers will be a great activity for the last few days before Thanksgiving. 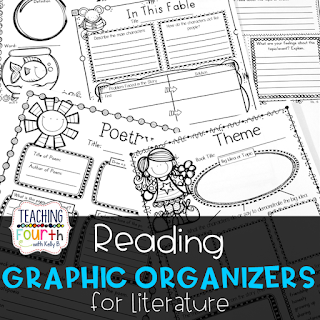 Click here to download your free graphic organizers to use with this book. Happy Thanksgiving! 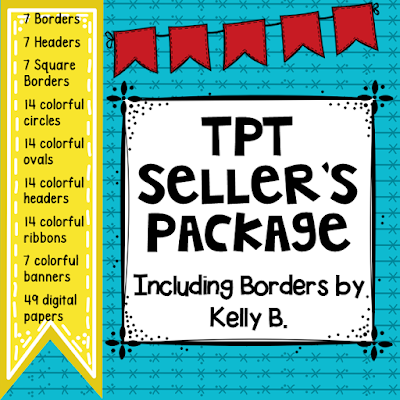 You may also enjoy these quick and easy "Owl" About My Thanksgiving printables from my store. They are the perfect activity to do the last few days before Thanksgiving. 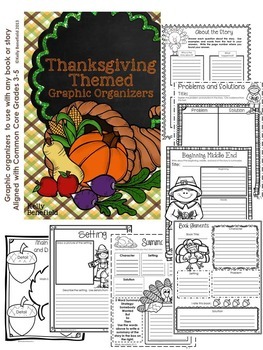 Your students will also enjoy these Thanksgiving Themed Graphic Organizers. 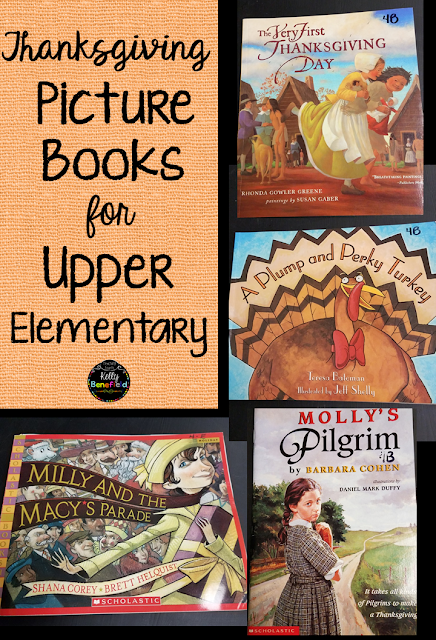 Use them with Thanksgiving themed books or with any book or story to add some Thanksgiving fun to your November reading classroom. 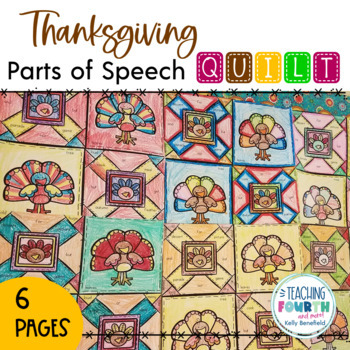 My students are loving these Thanksgiving Parts of Speech Grammar Quilt! This is such a fun way to review grammar while sneaking in a little fun with coloring. They make a great hall or classroom display. 2. or Pin the image below and leave the link in my comments. 3. Leave comment below letting me know which one you chose along with your email address so that I can get in touch with you if you win. Update: Winner of this bundle is Karyn! Thank you so much for visiting, and I hope you enjoy this set!